PVC Outdoor grade printed PVC Banner. 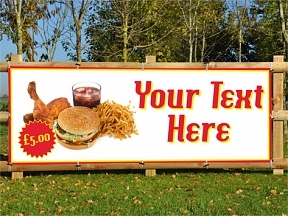 This banner shows a picture of fast food with the price as £5.00 and then the text of your choice. Any information can be changed and if you prefer we'll design you your very own design prior to printing. 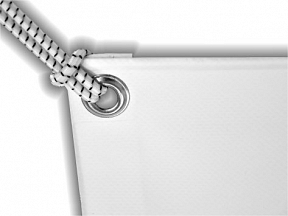 The design is free of charge with HFE!